College football is a sport that bears thesame relation to education that bullfighting does to agriculture. My idea of a contact sport was chess.  1999 A Jerk on One End: Reflections of a Mediocre Fisherman.  George Bush Presidential Library and Museum :: Born to Play Ball – Shortstops. George Bush Presidential Library and Museum. Retrieved on 2008-12-09. Play with passion and heart. If you don't carry passion into sport -- or in any job for that matter -- you won't succeed.  Quoted in Andrew Podnieks, "One on One with Phil Esposito," Legends of Hockey.net (2002-02-18). "He has never broken a racket in anger. It would be showing a lack of respect to people who actually have to buy the equipment to play the sport."  Uncle Toni Nadal on nephew Rafael. My hoarse-sounding hornInvites thee to the chase, the sport of kings.  William Somerville, The Chase. 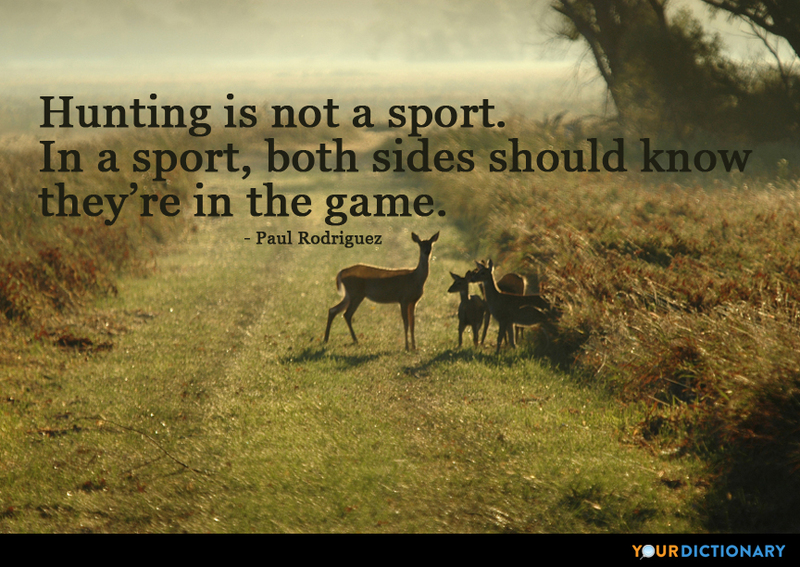 Wild animals never kill for sport . Man is the only one to whom the torture and death of his fellow creatures is amusing in itself.  Which are the most crafty, Water or Land Animals?, 7. Less at thine own things laugh ; lest in the jest Thy person share, and the conceit advance, Make not thy sport abuses: for the fly That feeds on dung is colored thereby.  George Herbert, The Temple (1633), Church Porch, Stanza 39.